Although we're not American we enjoy the three football games we get on that Thursday night, and we have our own little Thanksgiving meal. 1. What is your favorite Thanksgiving memory? 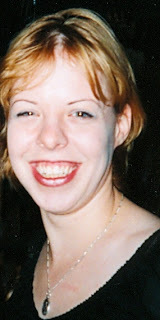 My first Thanksgiving was in 1999 when I visited New York. One weekend I visited friends upstate and shared a Thanksgiving meal with them. It was a lovely warm experience when I'd been travelling alone to be amongst a family sharing a meal. 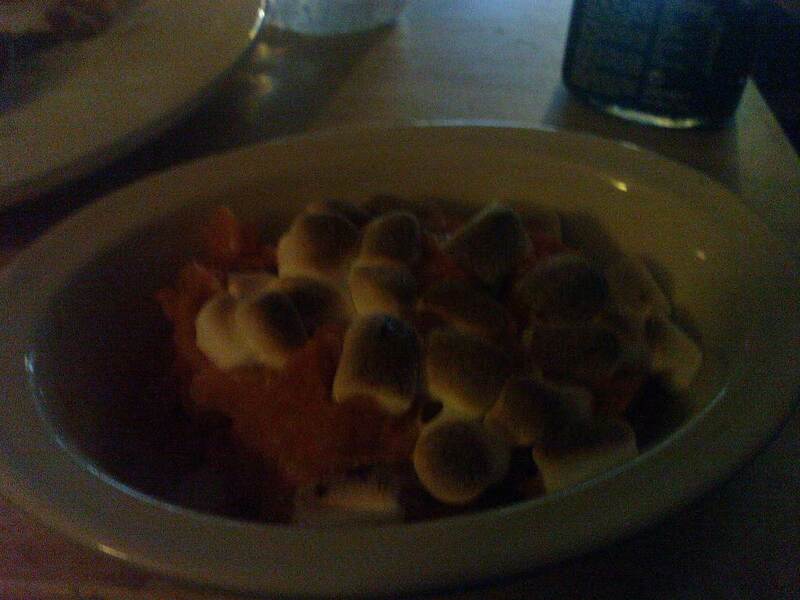 Sweet potatoes with melted marshmallow topping. If you've never tried it you don't know what you're missing. 3. What is a Thanksgiving tradition you and your family have? I get home from work, which as I don't work Fridays is the end of my week. I cook us our little turkey breast and sweet potatoes and pigs in blankets - and settle down to watch as much football as I can stay awake for! 5. What are you most looking forward to about this Thanksgiving? Is it bad that it is three football games? My excuse is we're English (well the Better-Half is Scottish) and we're stealing your holiday America!